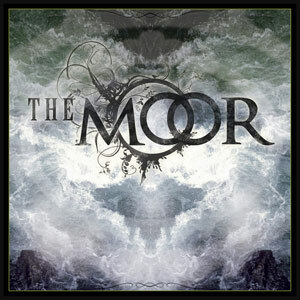 Venice, Italy, band THE MOOR releases a digital only EP prior to their forthcoming debut full-length album, due out later in 2012. The band seems consistent in incorporating prog rock, metal, death metal (guitars), seventies and alternative music in their own take on the metal genre. Or perhaps they are close to the likes of DREAM THEATER and OPETH, as the info states. Still developing and changing members the band might be on to something? This is almost 4/5 from beginning to end. The heavy parts are balanced by soft(er) refrains, forcefulness and roughness meet with melody and fine arrangements. I´m not sure how to define the band, the voices are changing, the guitars can sound like they did in the Stockholm underground death metal scene in the nineties and the song “Venice” feel related to the jazzed up BLACK SABBATH on “Never Say Die”. My only question mark is whether THE MOOR´S prog light with dozens of influences will find its way into the hearts of the prog genre diehards? Only the forthcoming CD can tell since five (shorter) songs is really not a 100 % sure bet.